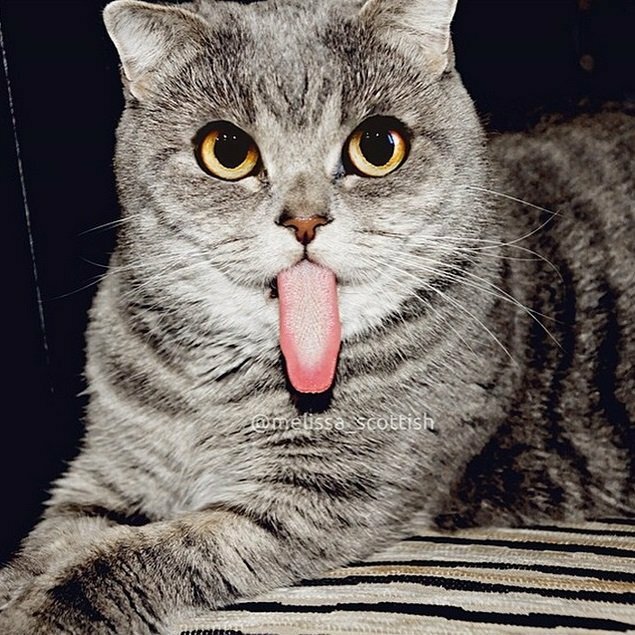 Happy Tongue Out Tuesday! 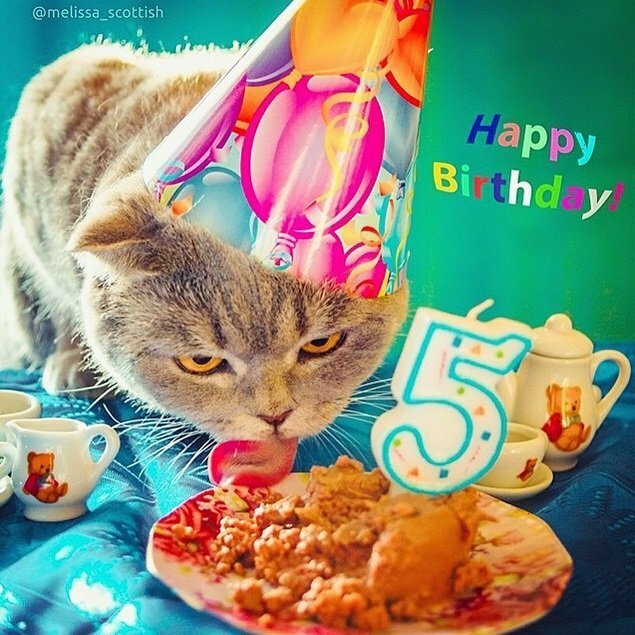 To celebrate this day we’d like to share with you some awesome photos of this adorable Scottish cat, Melissa. 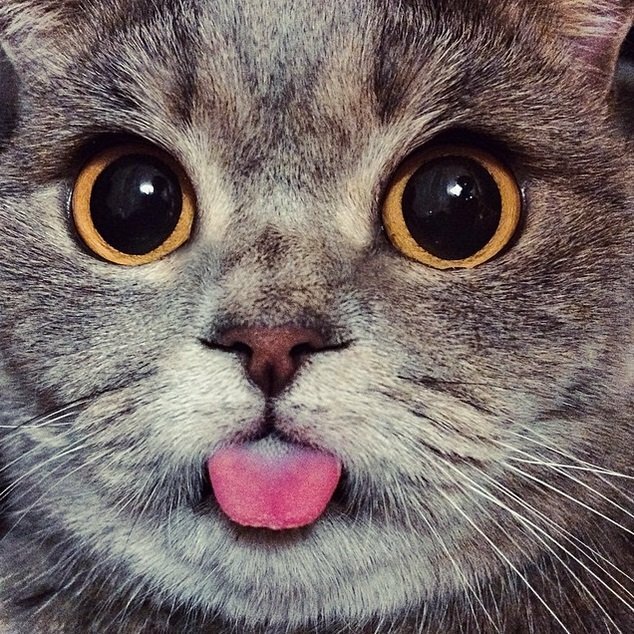 This cutie sticks her tongue pretty much all the time! 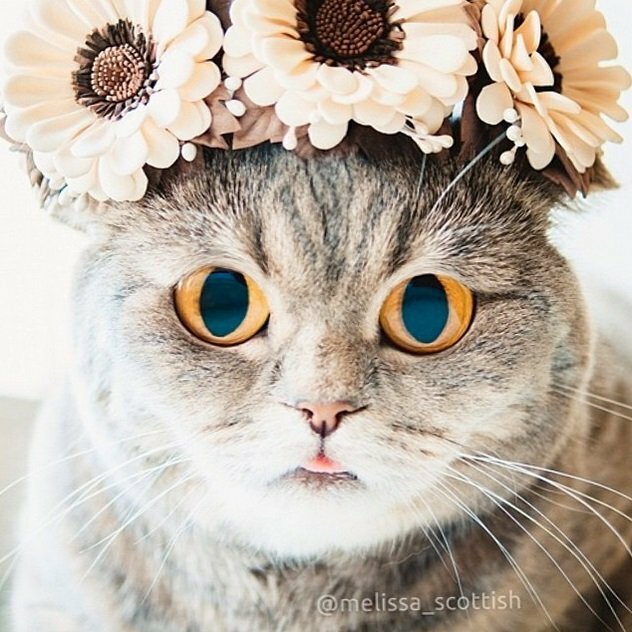 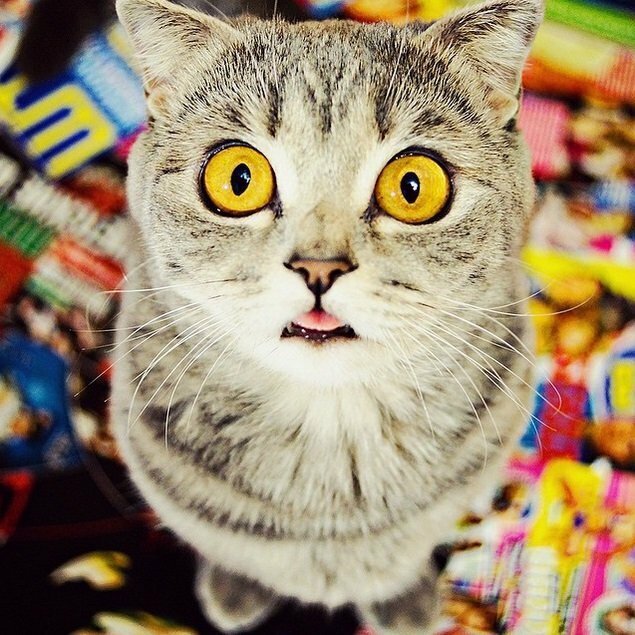 Melissa’s owner, Alina Esther, a photographer from Russia captures the wonderful expressions of her little cat. 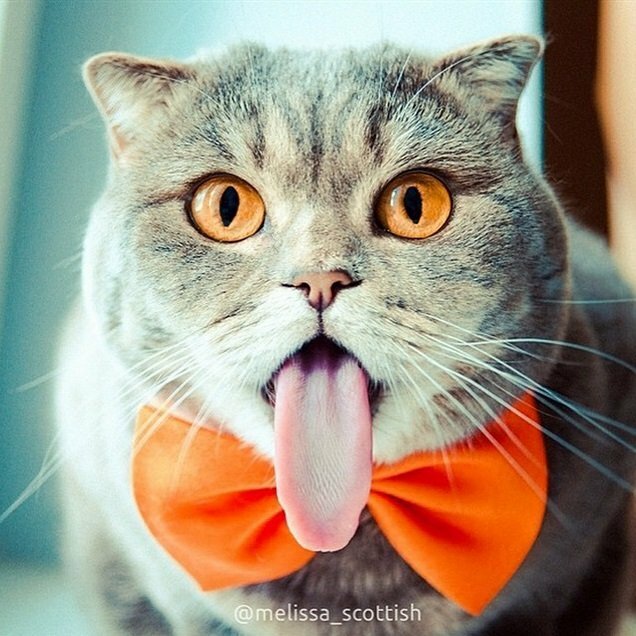 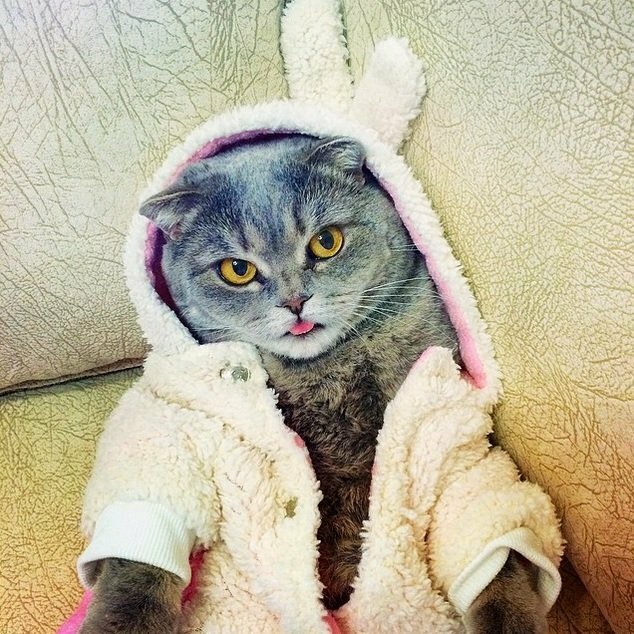 She says that usually some cats stick their tongue out because they are missing teeth, but Melissa isn’t the case. 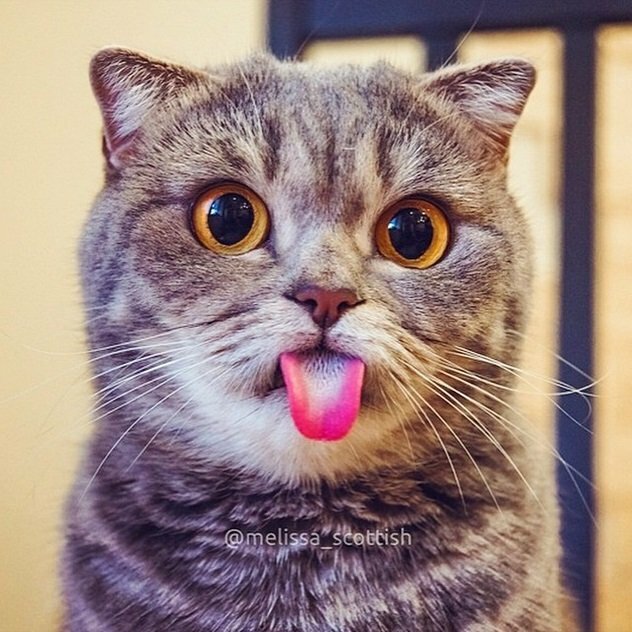 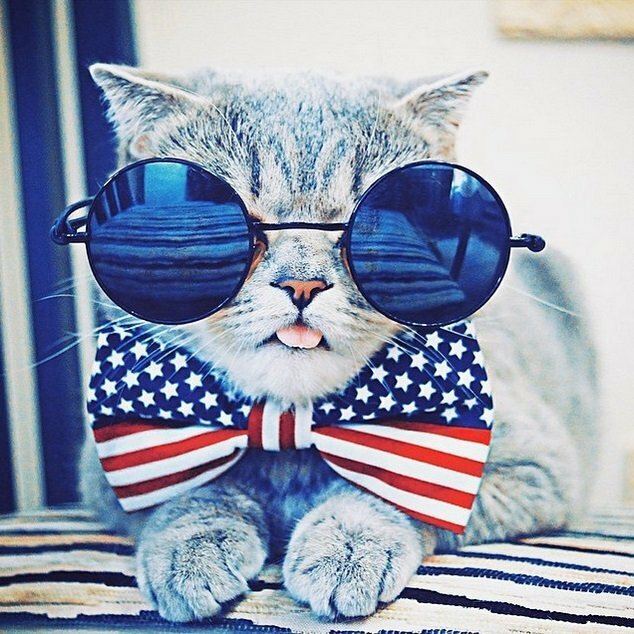 Here’s one of the most famous shots that earned Melissa the nickname “Einstein Cat“.